Located in a residential district and rated,the vacational rental is a furnished house with a garden of 150m2, barbecue and furniture for the garden. Especially created for vacational or short term rental purposes (e.g. business trips), the house was renovated in 2004, is 40m2 and has a bedroom of 16m2 with a TV, a double bed of 190x140cm and a single bed of 190x90cm. 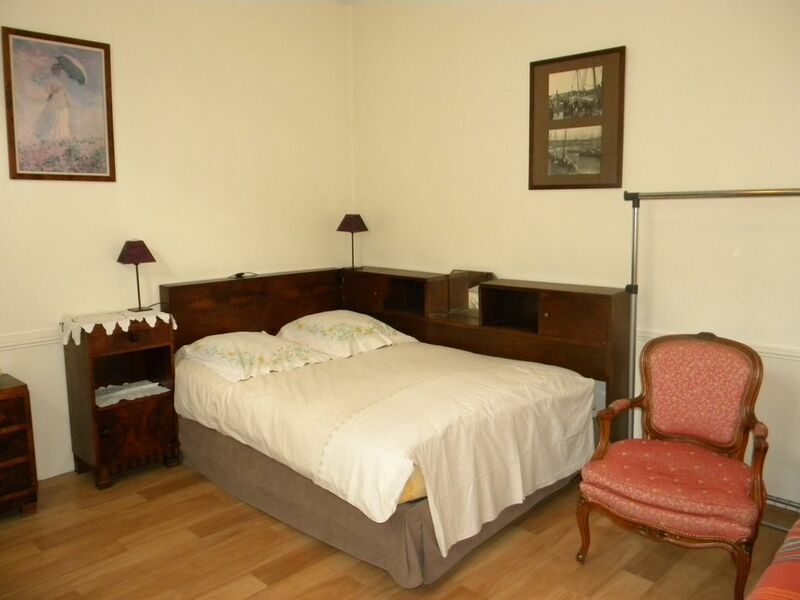 There is a second bedroom of 12m2 with a desk, a bed and mezzanine (90x190cm), cot and storage room. The vacational rental has also a complete equipped kitchen of 10m2 to enjoy a stay in Paris without trouble and a bathroom with a shower and a toilet. The price also includes cleaning of the apartment once a ten days. The vacational rental at the doors of Paris is located in the commune of Asnières (north-west of Paris), in a residential district of the centre of the town. You will have easy access to all the grocery shops, stores and other facilities that you might need during your stay.